With over 30 lights installed in our display, we have been able to show Sydney’s best Architects, Designers and Builders products that look great, save money and are cost effective for their next project. Extensive range of downlights, which are well suited for almost any recessed lighting requirements for domestic and commercial uses. Carpark sensor light with inbuilt motion detection. 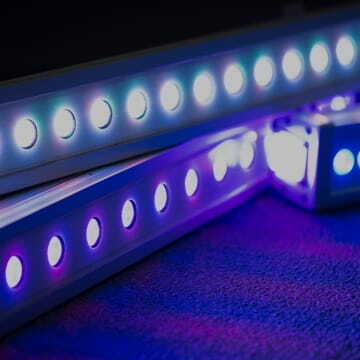 Saves up to 90% energy usage when compared with legacy lighting. 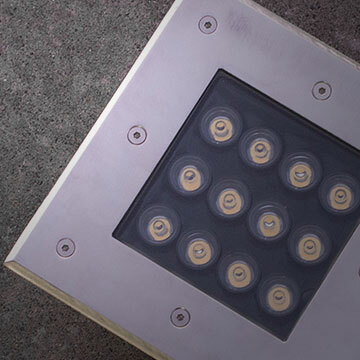 Footpath Street lighting for retail, residential and commercial areas. This product is available with motion sensors for further energy savings. Two panel lights for offices as well as retail uses. 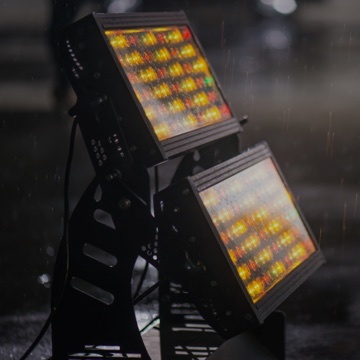 Available in whites or coloured options as well as a variety of sizes allowing direct replacement of t-bar troffer lights or installation in public areas with vandal resistance. Versatile aluminium extrusion for under-bench lighting, corridor lighting, and office and reception lighting. Also shown was our innovative direct/indirect (up/down) extrusion which was wall mounted but can also be suspended. Also displayed was four flood lights for broad-beamed illumination.